We perform best when we love what we do — and when we feel valued. 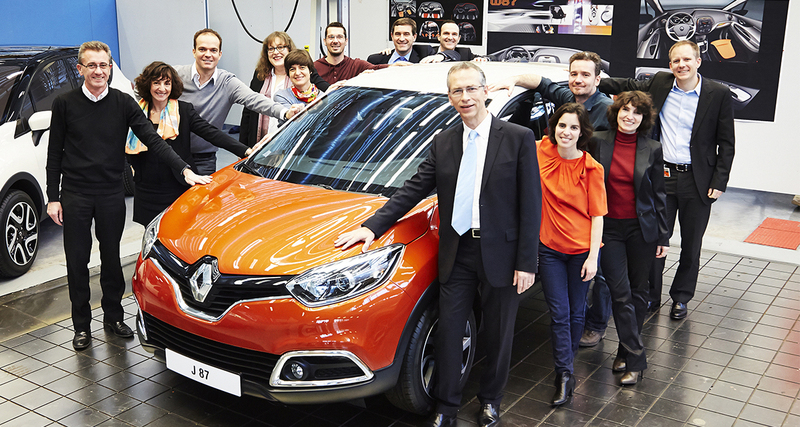 With this in mind, Groupe Renault has put employee recognition at the centre of its policies. A way to encourage employees to follow their passion. A win-win that’s part of our DNA. 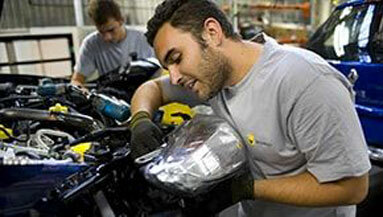 Groupe Renault’s relationship to its employees is based on mutual development. It’s a virtuous circle that encourages our employees to push themselves to go further. Because at Groupe Renault, we think that the company’s rewards for its employees are essential. They’re an effective way for employees and the company to grow side by side. The Group offers a lot leeway, a lot of opportunities for people who want to take things into their own hands, to set the course for their professional life, to take up challenges and work with people from different cultures. 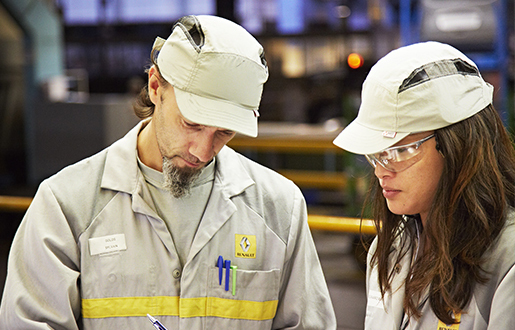 Recognising a job well done, offering encouragement, congratulations — at Groupe Renault, we think interaction should help employees enhance their career. It’s a feedback process, giving people a chance to forge ahead. The fixed portion of an individual’s compensation evolves to ensure consistency between their contribution and their level of responsibility. Employee compensation is regularly reviewed in light of job performance and the market. Individual performance, depending on the level of responsibility, may also be rewarded with a variable portion that aims to recognise commitment, contribution, and results. Evaluation is determined in a dialogue between the manager and the employee in the annual individual review. Job performance is assessed on precise criteria that are identical for all employees at the group. Evaluation is regularly enhanced with co-worker assessments, to ensure consistency and equity within the company. 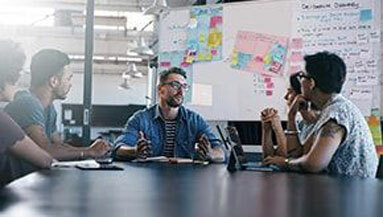 Beyond individual performance, the group recognises employee performance through a profit-sharing agreement with the group, where regulations allow. This last factor, which involves one profit-sharing programme tied to the group’s financial results and another tied to the local performance of each organisation, lets employees share in the fruits of the company’s success, both globally and locally.